Indios en escena engages both the Baroque and Colonial fields of Hispanism in order to reevaluate fourteen major plays of Spanish Golden Age literature from a social-historical perspective. Castillo argues that these plays portray Amerindians not in their “otherness” but as subjects of empire. It is the author’s contention that these dramas reveal the vast contradictions between the two leading ideological trends of the age as performed on the stage: the discourse of honor and the juridical-theological code, both of which attempt to assimilate the Amerindian phenomenon under the auspices of church and state. These works consistently raise the paradoxical question of how a person can be a savage and have honor at the same time. The Amerindian must become a new “subject” for the Spanish Crown (as stated by the discourse of honor in these plays), i.e., an honorable and distinguished Indian capable of lofty speech and courage in battle. Yet, Amerindians are also barbarians or wild “children” (F. de Vitoria, Las Casas) who need the redemptive intervention of the Church to mature (evolve) and to be capable of salvation. These plays reveal the effort to integrate and assimilate the new indigenous entities under the monarcho-seigneurial system while exposing the philosophical contradictions that Baroque ideology has to overcome in order to elicit obedience. Thus, Castillo claims that this theater propagates the concept of the “Amerindian” both as “Honorable Subject,” a theatrical archetype, and idolatrous barbarian “Other,” a model of representation that belongs to the mindset of religious crusades and evangelical enterprises. “In Indios en escena, the reader perceives the passion and enthusiasm of a serious researcher of the topic. 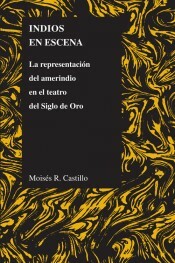 It is an excellent work for lovers of Spanish Golden Age theater and its issues, a work that is aimed as much at specialists as at advanced students of the baroque comedia with an Amerindian theme.” —Beatrice Giannandrea, Hispania 94 (Dec. 2011): 757–58. Moises Castillo, University of Kentucky, is a teacher and researcher in the area of Peninsular Spanish Literature and Culture, specifically in Early Modern and Colonial Studies (16th and 17th centuries). 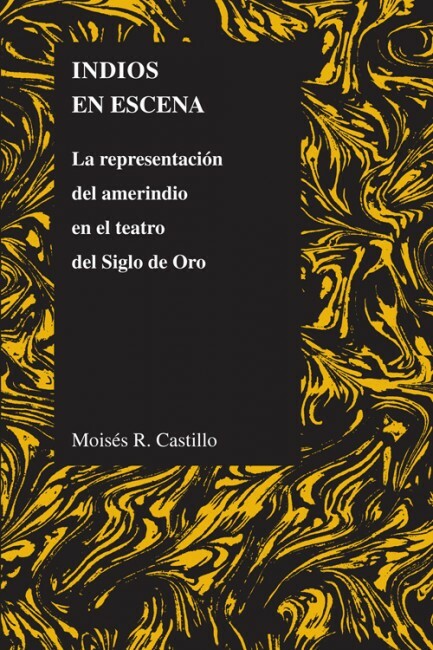 He has published articles on Golden Age theater in journals such as Bulletin of the Comediantes and Theatralia: Revista de Poética del Teatro. His current research focuses on the representation of Amerindians, Jews, and Muslims in the theater of the Spanish Baroque.